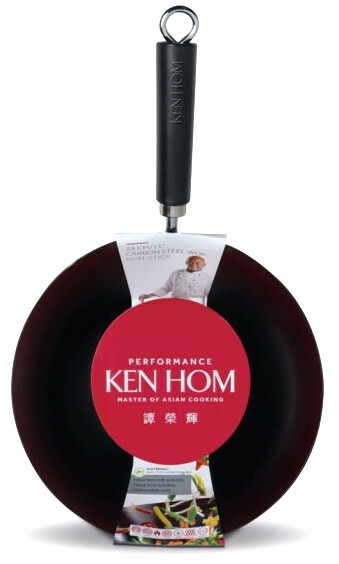 The Ken Hom Performance Non-Stick Carbon Steel Wok is a carbon steel, non stick wok delivering outstanding performance and durability as well as being practical and easy to use. The woks have a superior non-stick coating on both the interior and exterior, designed not only to cope with the high temperatures experienced during stir-fry cooking. 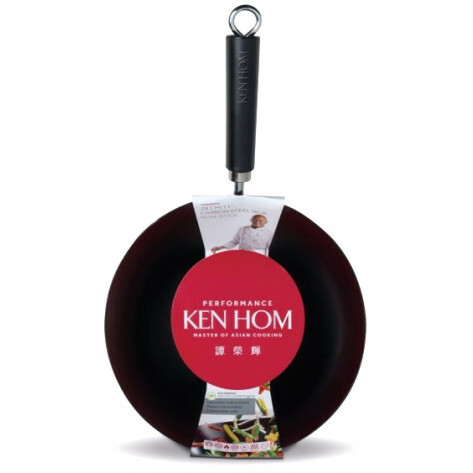 Made from strong but light carbon steel, offering excellent heat-conduction properties for high temperature stir frying. Flat base is ideal for hob cooking and suitable for all hobs except induction. Non-stick coating for easy cleaning, suitable for dishwashers. Please Note: Do NOT use with metal utensils.